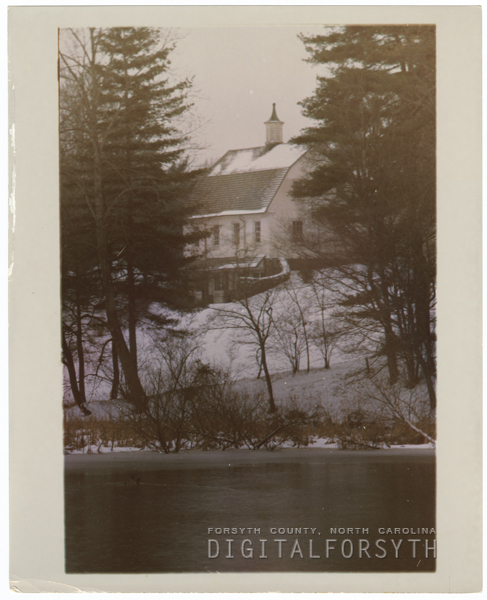 View of Reynolda House ground in snow, with Lake Katherine in foreground, barn in background. These images are protected by copyright restrictions. Please contact the owning library (Z. Smith Reynolds Library) for more information.